PlayMakers: Directed Bye Bye Birdie for the Summer Youth Conservatory and Ray Dooley in A Christmas Carol. In his first year as a company member and artistic associate at PlayMakers, Michael has directed at Goodspeed Opera House, Cleveland Play House, Trinity Repertory Company, Kitchen Theatre Company, Arvada Theater Center, Boise Contemporary Theater, Creede Repertory Theater, Swine Palace, Maples Rep, Brown/Trinity Playwrights Rep and the Brown/Trinity MFA Programs as well as workshops with The Playwrights’ Center, The Magic Theater and Young Playwrights, Inc. He’s the Associate Director on Fiasco Theater’s Into the Woods which was seen at the McCarter Theater, Old Globe, Menier Chocolate Factory and Roundabout Theater Company, in addition to Noises Off at Roundabout. Michael’s plays include At The Table and From White Plains, which is the recipient of a 2013 GLAAD Media Award and was nominated for New York Innovative Theater awards for Outstanding Premiere Production and Outstanding Full-Length Script. In addition, Michael’s one-person show Flying on the Wing was presented at the New York Fringe Festival, where it was the winner of Outstanding Solo Show. 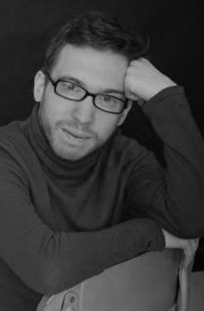 Michael is an Artistic Associate with both Fiasco Theater and Fault Line Theatre. He is proud to be a member of SDC, a Drama League Directing Fellow, and holds a BA and MFA from Brown University, where he has also served on faculty.